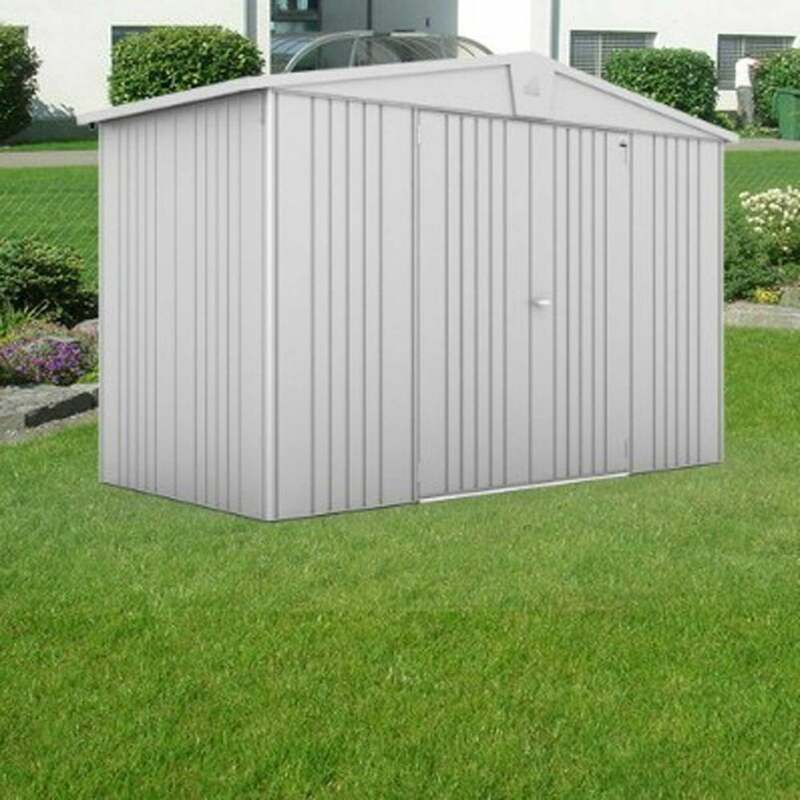 Storemore Europa Size 4A: This shed is a useful mid-size shed. It is large enough for a mower, a couple of large items like bicycles and your garden tools. It can come with a range of accessories such as a side canopy extension or folding table. It is constructed using high quality, galvanised and polyamide coated steel that is both durable and practical. The shed comes with a shelf set, a tool hanger and a two way lock for security. It has an inbuilt gutter system for rainwater harvesting if you should wish.